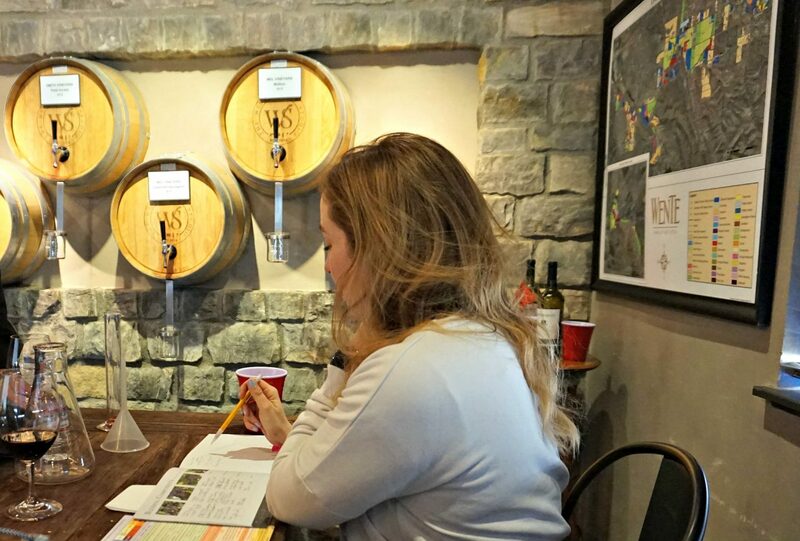 You can’t visit California without taking a trip to one of its wineries. 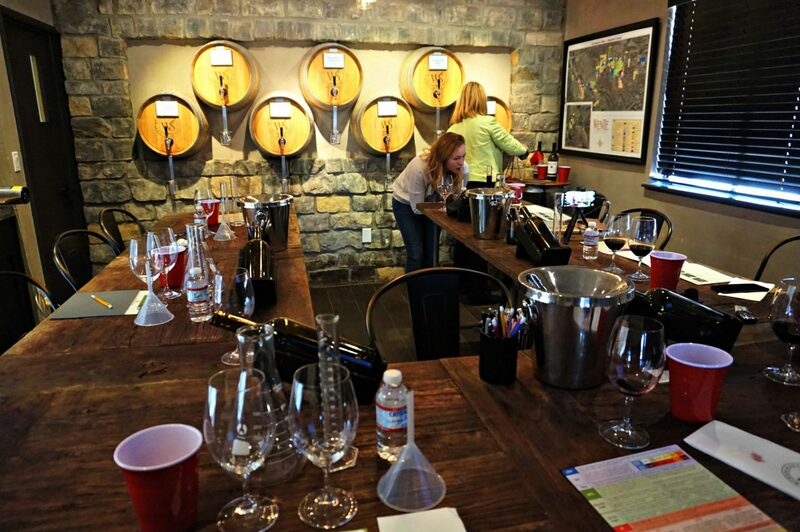 Chances are you’ve heard of the wine-lovers hotspot, Napa Valley, but what about the Tri-Valley? 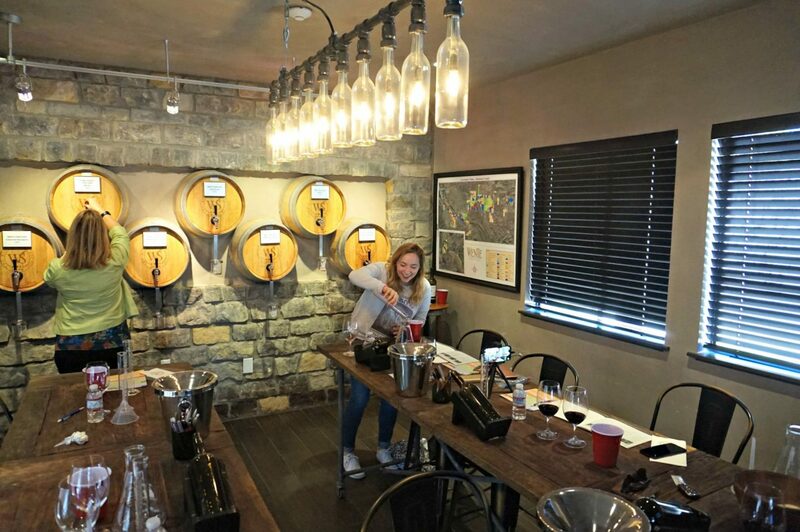 Whilst Napa is one of the more popular destinations to sample Californian wine, Tri-Valley offers a whole alternative experience. 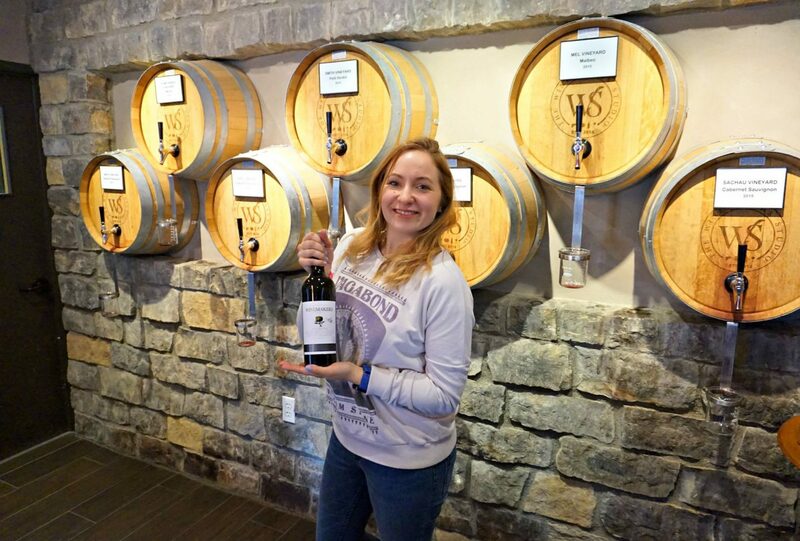 I discovered this on my recent trip over to the Tri-Valley when I stopped off in Livermore, which is one of California’s oldest wine regions, dating back to the 1840’s. I actually visited Napa Valley when I was younger, and although I’m still perplexed why my parents thought to take a child to the wine region, it certainly left an imprint on me as being somewhat picturesque and very beautiful. It is now, however, very busy and the chilled-out experience we once had, I feel is over commercialised and almost lost part of that charm. I did want to sample wine whilst in California, as the last time I came to America I was 13, so I was now actually legally able to drink some! I met some of the team from the Tri-Valley previously in the UK and had read quite a bit about the area, so whilst planning out California road trip, we made the decision to not go to Napa Valley, but instead, take ourselves over to the Tri-Valley. 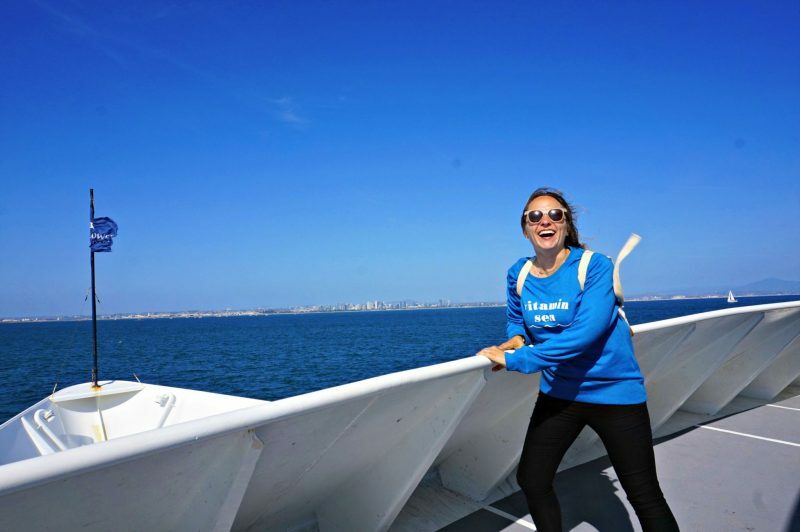 Initially, I was a little unsure because I’d had such wonderful memories of Napa, but I was completely open to a new experience. I won’t go into too much detail about the Tri-Valley as I’ll be chatting with you about that in a separate post, but let me assure you, this place is just adorable. Everything about it was cute! With boutique shops, charming cafes and delightful looking restaurants, teamed with a town design that resembled that of a movie set. It was just precious. 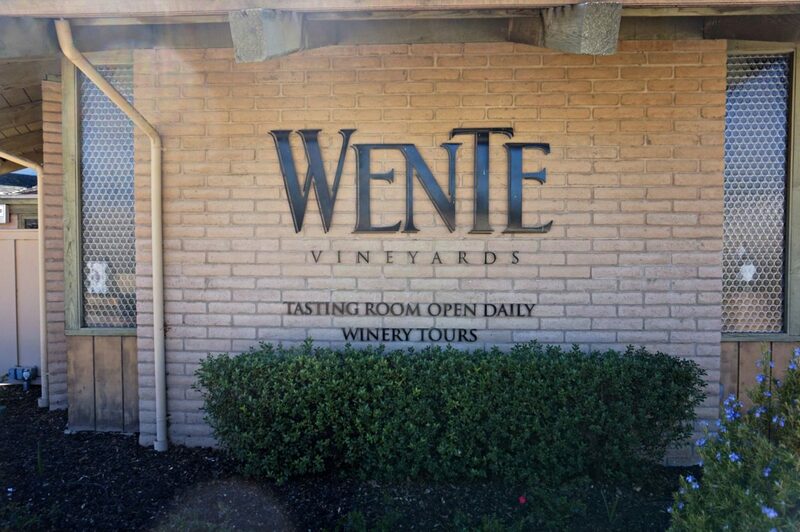 Over in Livermore (part of the Tri-Valley), there are over 50 Vineyards, but we were off to an afternoon at a local favourite, Wente Vineyards. 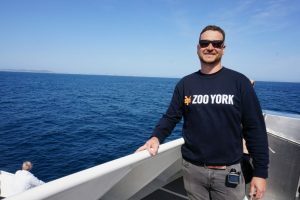 Now, you always know somewhere is good if the locals are a fan, which is something I’m finding more and more when I travel, therefore I always flock to where the locals go as they’re normally spot on! 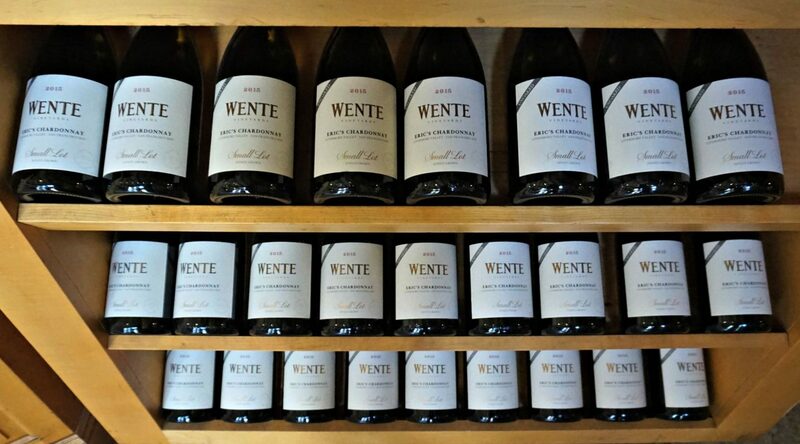 Wente Vineyards was beautifully laid out, with stunning grounds and a very chipper team of staff. Immediately asking whereabouts in the UK we were from and chatting with us about how long they’d worked there. Something I was finding in this particular area of California, is that everyone was welcoming and genuinely interested in you being there. 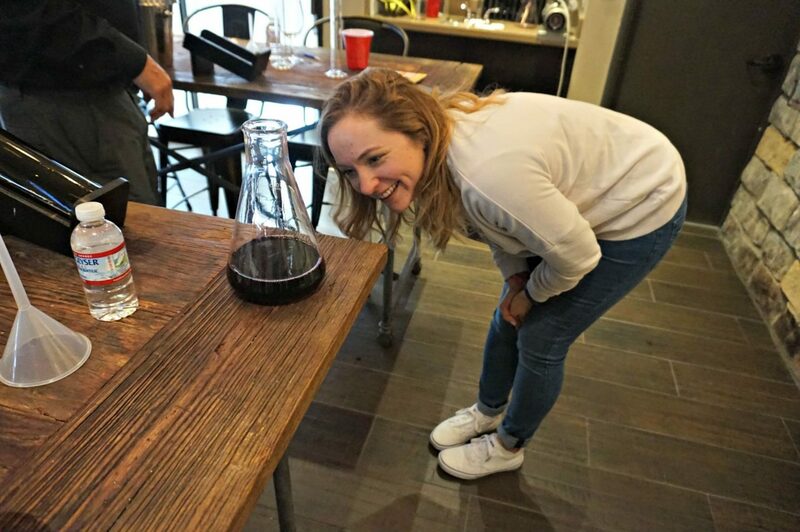 Instead of a normal wine tasting experience we were blending our own wine. This is something I have wanted to do for years! My brother makes his own concoctions of alcoholic creations at home, however my Great Uncle had his own grapevines and made some wine, although, it was a wine you used to cook with rather than sit and enjoy! I even have a grapevine climbing around my garage, but we barely get enough grapes to make a glass, let alone a bottle! So I’ve got no way of making my own wine at home, so why not do it in the wine region of California?! Seems almost ridiculous if I didn’t grasp this opportunity with both arms and try it out! 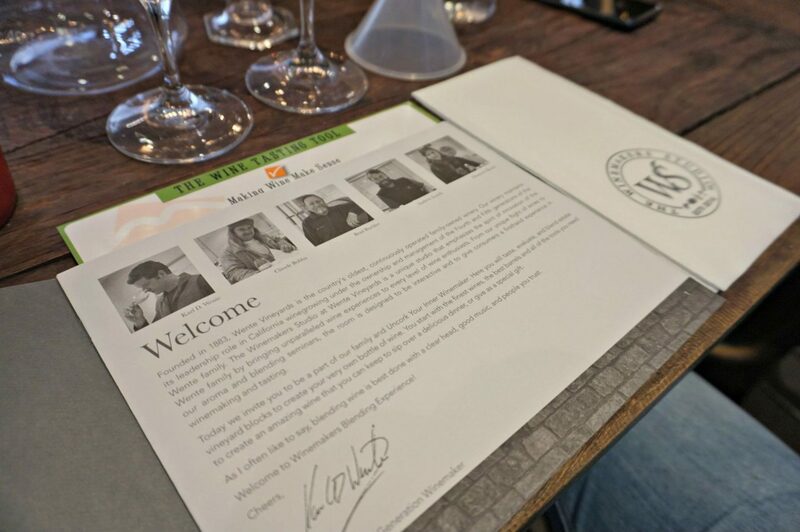 Before we went to Wente Vineyard, I had a quick look to see if anywhere else offered this type of class, but unfortunately nowhere seemed to – so I felt really honoured to do this at all. In we went to our class with seven big wine barrels on the far wall, and on the table in front of us looked like the equipment you’d get in a high school chemistry lesson. 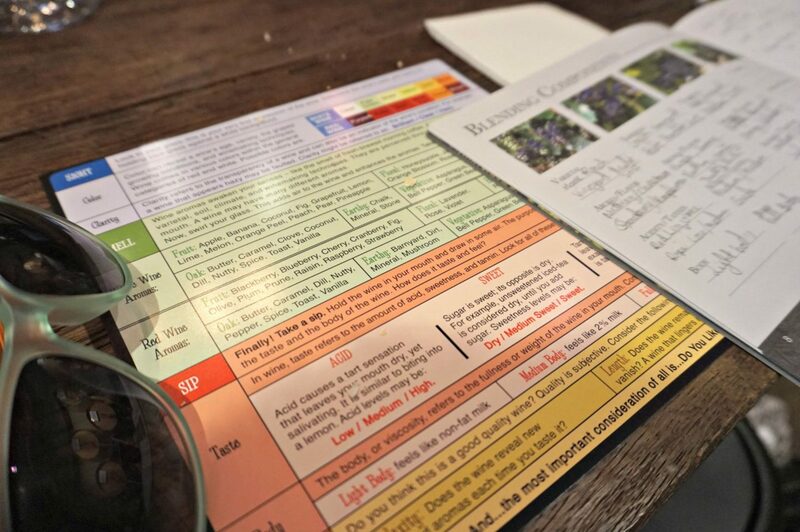 Glass beakers, measuring cups, notepaper and what appeared to be a chart to look at colours and tastes of the wine. I started to think I wasn’t going to be very good at this as it was red wine, and I don’t tend to drink too much of it. How the class worked was that we would be trying a selection of red wines created at Wente Vinyards, and essentially finding out how each tasted and smelt then mixing our favourite up to create our very own wine! Our host from the Wente team talked us through the history of Wente, and then explained how we taste wine, looking at the tanning, and marking down how it tasted, what flavours and smells we were getting from each too. 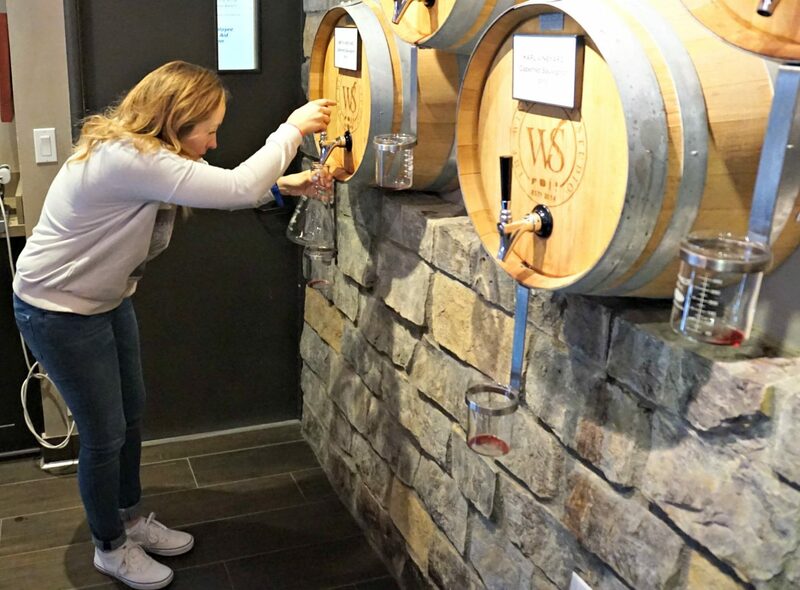 I must admit, I was quite impressed by how much I enjoyed this part – investigating sight, smell and sip, we explored the different wines in the barrels.Picking out notes of perhaps spice flavours, or whether it was leathery, chocolatey or even fruity. 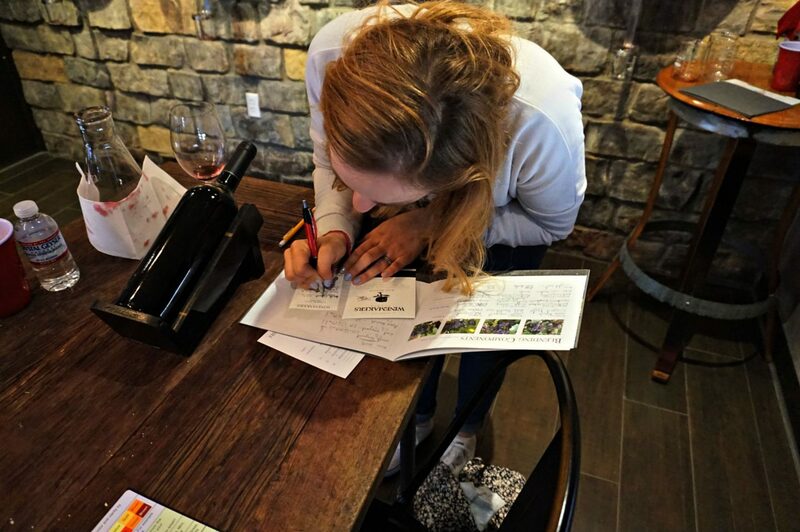 I’d never really thought about wine tasting objectively, and I certainly hadn’t given red wine much of my time, but here I was suddenly feeling like I could tell others a thing or two about red wine! Mel Vineyard Malbec 2015 – A ruby coloured, orange, bergamot flavoured, medium body wine. Afterward the taste and evaluating, I became somewhat of a self confessed wine connoisseur, so we began to look at blending our own bottle to take home. I personally found drawn to three particular wines, the Smith Vineyard Cabernet, Karl Vineyard Cabernet and the Home Ranch Merlot, as I felt these three would be the perfect combination together. We needed to have 800ml worth of wine, and had to figure out how much of each wine we wanted for the mixture we created. I knew I didn’t want to go for any heavy or full wine flavours, I personally don’t enjoy those, I just feel so bombarded with the rich flavour, I just can’t appreciate it. So, I wanted a mixture of some of the medium/lighter bodied wines. Once we’d measured it all out and sampled we poured it into our bottles, corked it then attached and signed the label. Whilst others were trying to get the perfect wine, I was surprisingly content with my first attempt, in fact, my husband changed what he was making to add one of my wine choices to his. 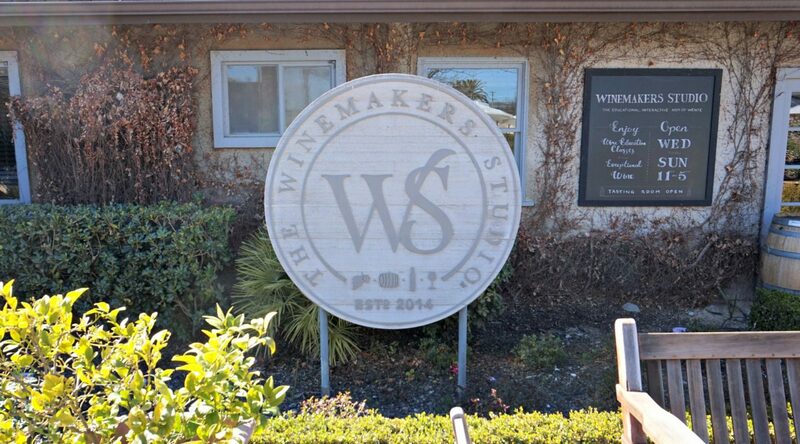 I have taken my wine creation from the Wente Vineyards in Livermore, Tri-Valley, all the way back to the UK, it is sat looking at me as we type. Now, they won’t keep forever, so we’ve decided to have a bottle for Nick’s birthday and then the other for mine. 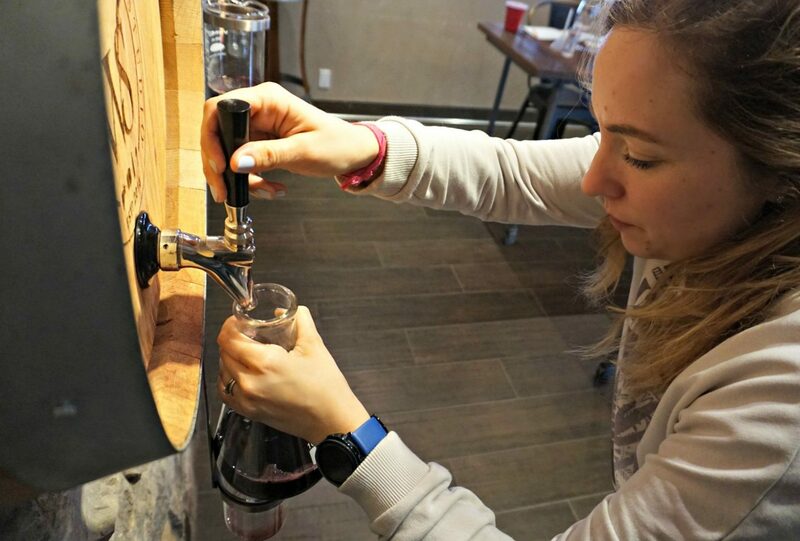 The whole experience was fantastic, one of which I’d highly recommend, especially the bottling up your wine for you to take home and learning a valuable wine related skill! 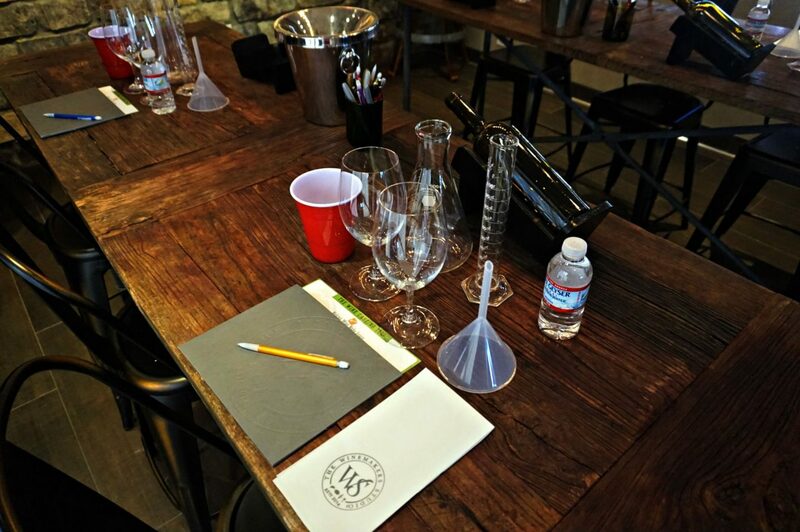 Wente Wine Makers offer a number of educational experiences. 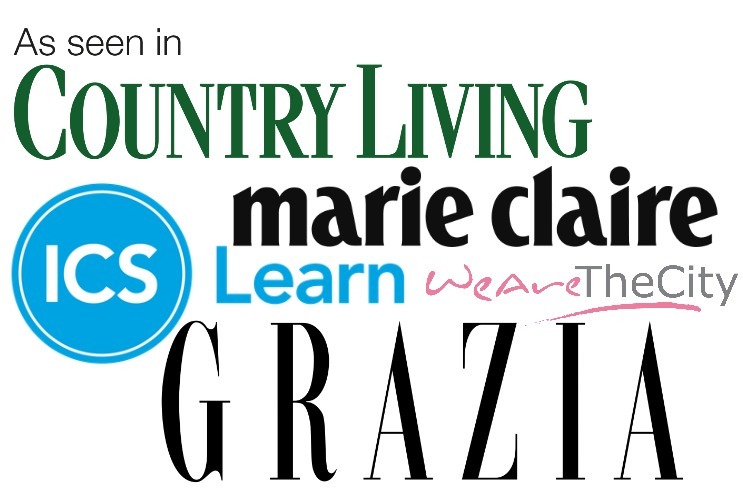 *The experience was free for me to attend, but I wasn’t obligated to write about, but I thoroughly enjoyed it so wanted to share.